The roots of the famous Balbach Wine Estate date back until 1654. 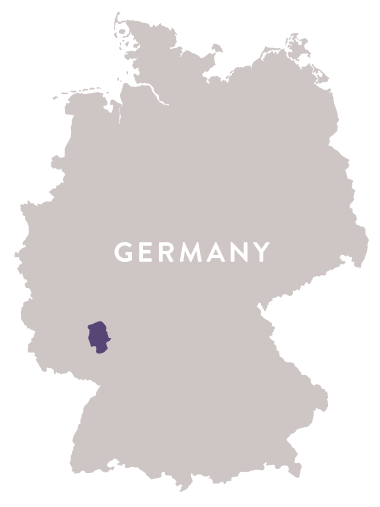 Since then Weingut Balbach and the propretiors from the Bohn Family have worked hard to archieved a state of national and international fame for its unique wines. Today the Hasselbach Family lead by Agnes Hasselbach and son Johannes Hasselbach operates the Balbach estate. Friedel Bohn, the propretior, is a good friend and is responsible for the Vineyards and the wines today. The vineyards with the centerepieces Nierstein Pettenthal and Nierstein Oelberg belong to the best what the Famous „Roter Hang (Red Hill)“ has to offer. The knowledge about winemaking has been passed on from generation to generation within the Balbach Winery. In conjunction with the knowledge and the new approaches to Winemaking brought in by Johannes Hasselbach we Produce wines representing the unique terroir of the „Roter Hang“, the home of our vines.